Have you ever had a lingering pain in your mouth that just wouldn’t go away? Perhaps it was annoying, but you did not believe it was serious enough to schedule a dental visit. 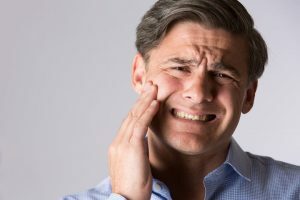 Many people are unsure of what to do when they have a toothache and try to just push through the pain or discomfort. However, ignoring a toothache can lead to much bigger health problems in the future – including losing your teeth! Don’t leave anything to doubt. Read this helpful guide from a dentist in Danville to know when to take action when you have a toothache. Moreover, a good idea when experiencing a toothache is to keep a record of the pain. Write down your observations in a notebook – for example: Is your dental pain acute? Chronic? Is your tooth sensitive to hot or cold? Keeping track of your dental pain will help you know when to see a dentist. Your toothache has lasted longer than 1 to 2 days. Your toothache is causing severe pain. What Happens When I Visit the Dentist for a Toothache? Your dentist will also thoroughly examine your teeth, gums, jaws, tongue, throat, sinuses, ears, nose, and neck to try to determine the origin of your toothache. He or she may take X-rays or other tests if the cause of the toothache is not readily apparent. After this thorough evaluation, your dentist should be able to recommend appropriate treatment to reduce your painful symptoms. What treatment is recommended will depend on the root cause of your dental pain. Remember, ignoring dental pain and just wishing it away can allow small issues to develop into much larger problems down the road. The next time you have a toothache, use this guide to know when to call a dentist in Danville! Since 1976, families in Danville and surrounding areas have relied on Danville Dental Associates for all their dental care needs. With eight knowledgeable dentists and five convenient locations, their experienced team is well-equipped to treat everything from minor toothaches to dental emergencies. For more oral care tips, visit the Danville Dental Associates website or call 434-822-0500.